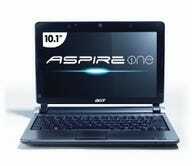 As you may have heard, the 10.1-inch Aspire One D250 dual-boots between Android and, err, Windows XP. 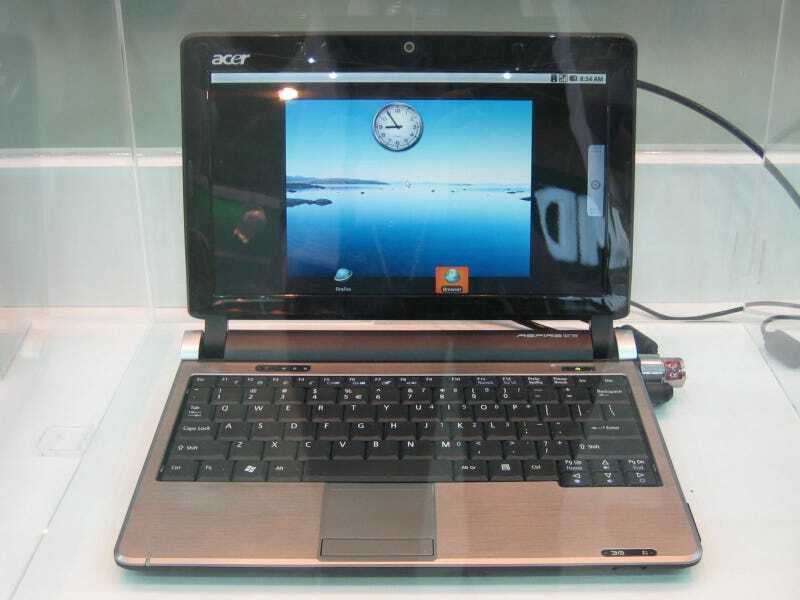 It has a 1.66GHz Atom 280 processor, 6-cell battery rated for 9 hours, and is now up for pre-order on Amazon for $350. Other specs are unchanged from the current model, including 1GB memory, 160GB hard disk, and an on screen resolution of 1024 x 600 driven by Intel GMA graphics. No Nvidia Ion graphics, and no 3G…yet.